The various essays in this book, which commences witha concise synopsis of Lanier's life by his biographer Michael Wilson, offer many differing and fascinating insights and interpretations of one of the most remarkable paintings ever to be produced in Jacobean England. 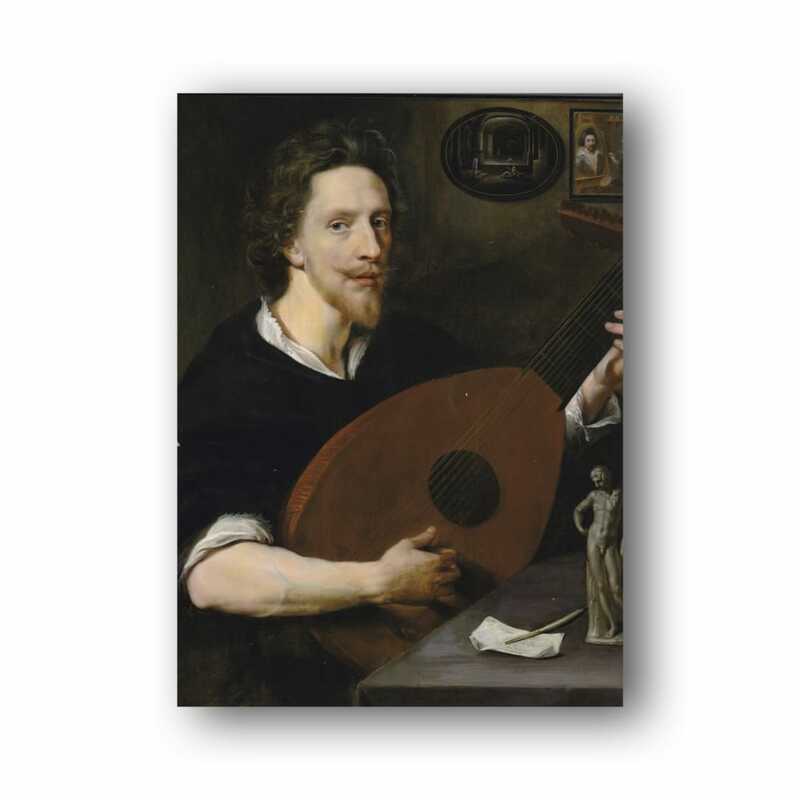 For an English portrait dated 1613, it is truly without precedent both in its quality and composition and for the window that it opens upon the culture and connoisseurship of the day. Both Sir Roy Strong and Dr Duncan Thomson in their respective essays propose alternative attributions, but as yet a question mark must still remain as to the painting's authorship. Thomson also discusses Lanier's surprisingly extensive iconography, which convincingly confirms the identification that was perceptively first proposed for our portrait by the late Sir Oliver Millar. Further essays by Jeremy Woods, Tim Wilks and Benjamin Hebbert explore the intriguing ancillary elements that give this painting so much of its extraordinary allure, whilst the respective essays of Peter Walls and Katherine Ara explain Lanier's influence on Jacobean court music and the actual painting's techincal construction and preservation. We hope that the revelation of the portrait and the studies published here will now be the catalyst for futher research and debate on this complex and beguiling painting.